MONDAY, Jan. 9, 2017 (HealthDay News) -- Young cross-country runners seem to have better connections between regions of their brains than their peers who aren't athletic, a small study suggests. "One of the key questions that these results raise is whether what we're seeing in young adults -- in terms of the connectivity differences -- imparts some benefit later in life," said study co-designer Gene Alexander. He is a psychology professor at the University of Arizona in Tucson. "The areas of the brain where we saw more connectivity in runners are also the areas that are impacted as we age, so it really raises the question of whether being active as a young adult could be potentially beneficial and perhaps afford some resilience against the effects of aging and disease," Alexander said in a university news release. However, it's not clear whether exercise is the direct cause of the improved connectivity. And, the researchers don't know if the improved connections affect how the runners think. David Raichlen, who co-designed the study with Alexander, said the research was designed to understand the younger brain. Raichlen is an associate professor of anthropology and a running expert at the University of Arizona. There have been numerous studies over the last 15 years showing that physical activity and exercise can have a beneficial impact on the brain, Raichlen said. "But most of that work has been in older adults. This question of what's occurring in the brain at younger ages hasn't really been explored in much depth, and it's important," he said. The study compared 11 male cross-country runners with 11 healthy males who hadn't recently been physically active. 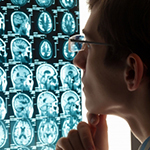 The participants were aged 18 to 25, and all underwent MRI scans of their brains. Many activities that are considered repetitive, such as running, "actually involve many complex cognitive functions -- like planning and decision-making -- that may have effects on the brain," Raichlen said. The study was published online recently in the journal Frontiers in Human Neuroscience.